Faced with a wide array of vendors and solutions, buyers are seeking to better understand and calculate the return on investment (ROI) for telemedicine uses. SGP sought to more deeply understand the application and adoption of telemedicine in the dynamic healthcare landscape. 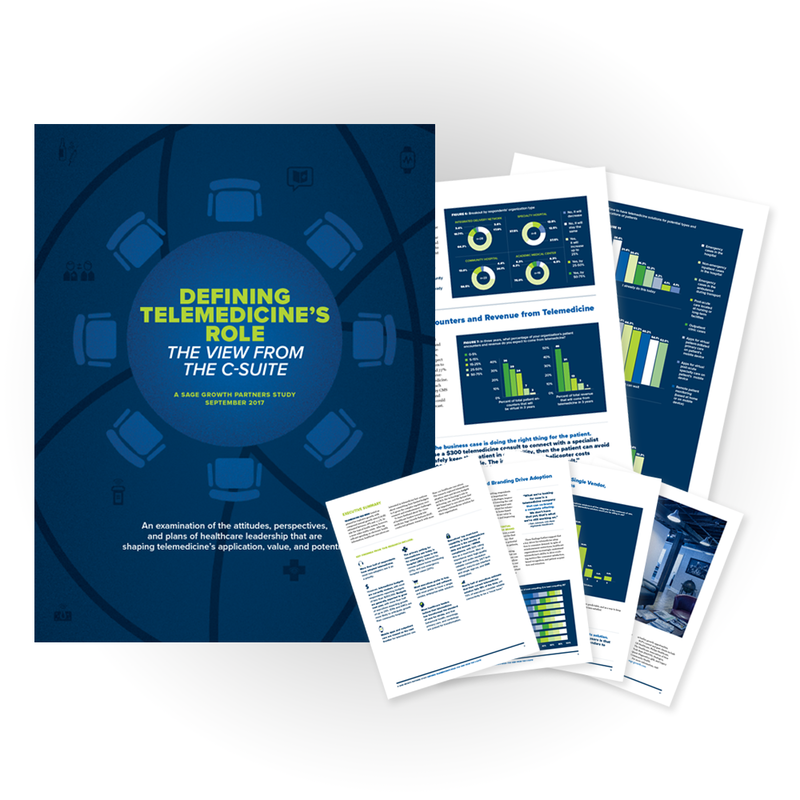 To learn more about the attitudes of healthcare executives towards telemedicine, SGP conducted an extensive series of secondary and primary market research studies. We invite you to learn more about how current healthcare leaders are confronting their burgeoning telehealth needs. to Vanessa Ulrich at 410-534-1161 .